It's official: with IPv4 network addresses close to depletion, moving to IPv6 is now business critical. 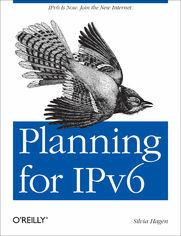 This concise book helps you plan for IPv6 integration by providing a high-level overview of the technical&#8212;and nontechnical&#8212;steps involved. Many of the challenges for your enterprise are on the organizational level, and solutions differ from company to company. IPv6 Essentials author Silvia Hagen, a protocol analysis and directory service expert who's worked with IPv6 international groups and forums for 10 years, supplies answers to the issues most frequently discussed by the clients she consults. With this guide, IPv6 project leaders and planning team members learn how to develop a cohesive integration strategy for building the next-generation network. Where Does Time Pressure Come From? Is IPv6 more secure than IPv4? How Can IPv6 Clients Reach IPv4 Content?